Registration is not confirmed until you pay online. This is a members only event. Membership is open for all and is only $35 for an annual family membership. Registration is not confirmed until you pay online. 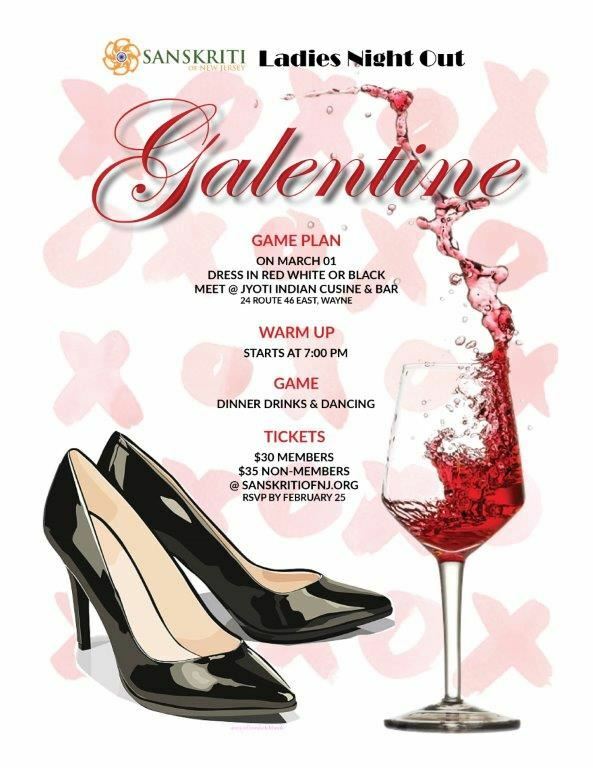 Due to the many requests we received to have the opportunity to celebrate galentines with girlfriends that may not be local and therefore not members of Sanskriti, we have opened up the Ladies Night Out to non members as well. And since we now need a larger room, we are also changing the event date to Friday March 1st in order to accommodate the larger attendance. There will be a minor price difference for non member tickets. All other details remain unchanged.